I have been an employee at Ribby Hall Village for almost 5 years now and work as a Duty Manager at The Spa Hotel. I had a busy start to the year by getting engaged at Christmas and deciding to organise the wedding for May 2017. The decision to have the wedding in May was made in February, giving myself 12 weeks to get ready! Like most women my first thought was THE DRESS and looking my absolute best. While at work I saw the next Healthy Lifestyle Coaching course was about to start so I spoke to Natalie, Ribby Hall Village’s Wellness Manager, and told her about the length of time I had till the wedding and what I would like to achieve, we talked it through and I decided to book on. I was nervous and excited for the first session and seeing my weigh in but both Natalie and Adrian were really supportive and helped me set my goals. I have always enjoyed exercise and found the gym part of the session really good and well organised. My main focus was the food though as I am a picky eater not liking many vegetables. After the gym session we all sat down as a group and Adrian gave out some meal options with ingredients and how to cook them. The next morning I went out with my now husband, Anthony, to do a full shop, buying the ingredients from the meal options Adrian had given us along with some other bits. What I find really helps when you are trying to lose weight and live a healthy lifestyle is meal prep. PREP IS KEY. It really helps you focus, stay on track and not fall off the wagon. I have a chalkboard in our kitchen at home which I use to create a table for the week. This includes what shifts me and Anthony are both working along with what we will be having for lunch/tea and what days we will be exercising on (and when we will be going to the cinema as we love the cinema). 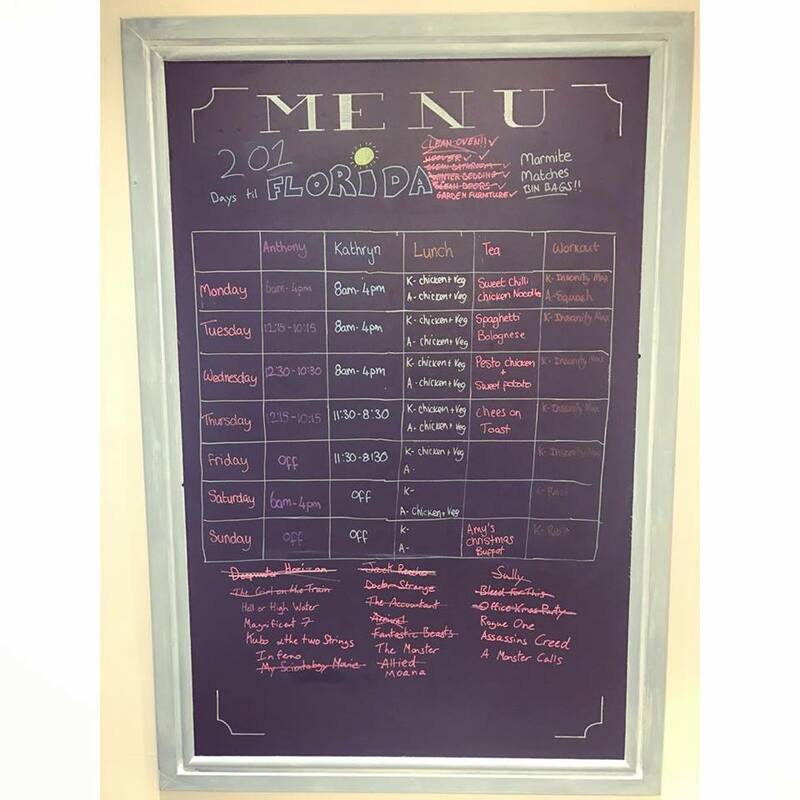 After we finished the chalkboard with what meal options we had picked for lunch we then prepped for the week so it was all done. We took turns on cooking tea depending on our shifts but never swayed from what was on the table. Having different meal options from Adrian and Natalie each week really helped give verity to my meals as sometimes I can get stuck in my ways, get board of what I’m eating and then fall off the wagon so this really kept me going. 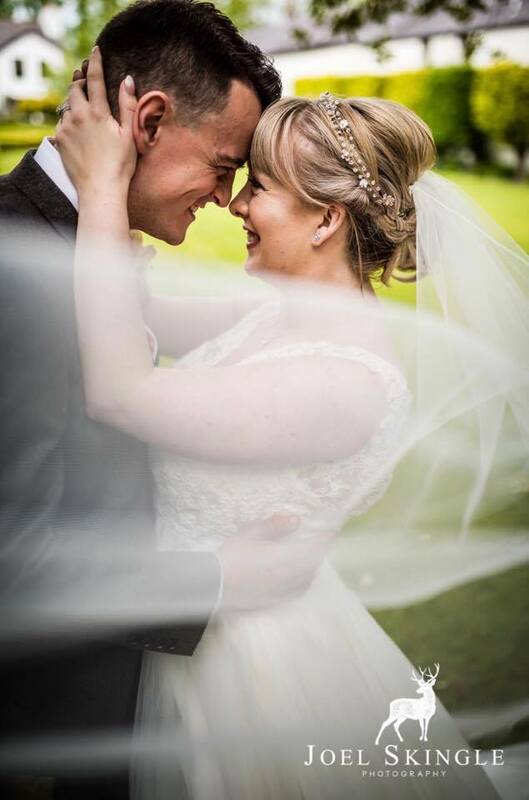 The goal for my wedding has been and gone and I was so pleased with my results and felt amazing on the day. After the wedding and a minimoon I am now getting back on track exercising and prepping meals again, because seriously PREP IS KEY! Our Healthy Lifestyle Coaching course is the perfect way to kick start a new, healthier you! Benefit from our dedicated Wellness Suite and knowledgeable in-house coaches, who will be on-hand throughout the course, offering weekly inspirational, encouraging and expert advice.